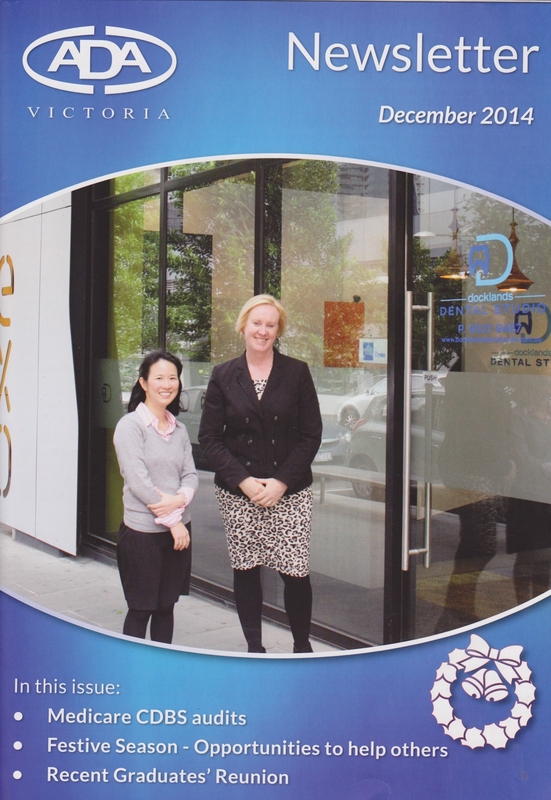 After some 15 years as a dentist and a dental demonstrator, Dr Plyakul (Pia) Oparkcharoen believed that it was time that she started her own general dental practice. But where? and changed significantly, with a strong mix of commercial and residential properties. There were large buildings housing the headquarters of companies such as ANZ, NAB and Myer. Then there were new residential developments. And … it was on the edge of the CBD. “The place had a good vibe,” Pia said. Docklands, it was. The next step was to find a suitable location for her surgery. Pia scoured the district, finally finding about 90 square metres of space in a building which had a mix of commercial and residential properties as well as a car park. Better still, it was opposite a medical centre and adjacent to a pharmacy. She signed the lease in May. Then came the surgery design and fit-out. Having consulted a Melbourne company, Pia sought other ideas. While attending Sydney Dental Expo ADX14, she found Antony Poate Design – a firm with ideas matching her aspirations. The company, with a partner in Melbourne – Newvan Developments Pty Ltd – was engaged. By this stage Pia realised that there was much more to do in setting up her practice – licensing, registration, regulations and much more. As an ADAVB member, she asked Practice Plus for help. Practice Plus consultants Sharon McMillan and Teresa Davine met Pia, studied the surgery plans and provided a number of tips. “Being a small area, Sharon said that a better workflow could be achieved by making the surgery a two-chair practice – not three chairs,” Pia said. the day. It was a pleasure to work with her”. The next stop for Pia is accreditation. She will use the services of Practice Plus to help her attain accreditation. “As Pia has already attended an accreditation introductory seminar run by Practice Plus, I can see Dockland Dental Studio having a smooth run in achieving this goal,” Sharon said. For more information or assistance in establishing a practice, you can order the Practice Plus Practice Set-Up Manual, or contact Practice Plus on 8825 4625 to engage consulting services.